Abstract: This thesis explores the manifestations of bodily pain in two visions received by the late medieval English mystical writer Julian of Norwich (c.1342-1416). During a serious illness in 1373, Julian received a total of sixteen holy visions that she subsequently wrote down in two versions; the so-called ‘Short text’ was written soon after Julian’s recovery, whereas the ‘Long text’ was composed after twenty years of contemplation and interpretation of the visions’ theological meaning. A popular ideal in the later Middle Ages was that of imitatio Christi, that is, to experience and take share in Christ’s Passion. In a similar way as the incarnated Christ had suffered for his love of humanity, so devotional Christians desired to suffer the same pain for the love of, and compassion for, Christ. Through a phenomenological and hermeneutical reading of Julian’s visions seven and eight, I examine the significance of physical pain for the medieval ideal of imitatio Christi. In doing so, I identify and discuss two paradoxes that have immediate implications for the ultimate goal of imitatio: to experience union with God through identification with him. Despite the fact that such mystical experiences are, and were, considered highly spiritual or ecstatic, they are often described by the experiencers themselves as involving intense and excessive physical pain. Moreover, although the pain is described in such terms, it is also identified as joyous and ‘sweet’ and the experiencers often pray for the pain and rejoice in it when they receive it. By applying works of phenomenologists such as Espen Dahl, Ariel Glucklich and Drew Leder, I explore 1), how the tension between the spiritual and the physical experience, and 2), the opposition between the unpleasant and the joyful pain may be explained phenomenologically. Moreover, I provide a comprehensive hermeneutical reading of the two visions under discussion, employing Paul Ricoeur’s hermeneutical arch as my analytical model of interpretation. In doing so, I read the visions in question as the climax of Julian’s spiritual journey from naive to deep understanding of her own experiences, her own self and God. 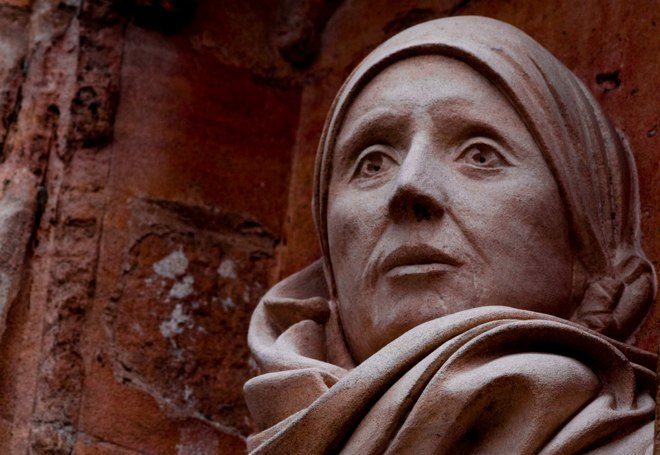 I further argue that Julian through her imitatio Christi experiences a spiritual death of her old self, and a rebirth of a new, enlightened self.